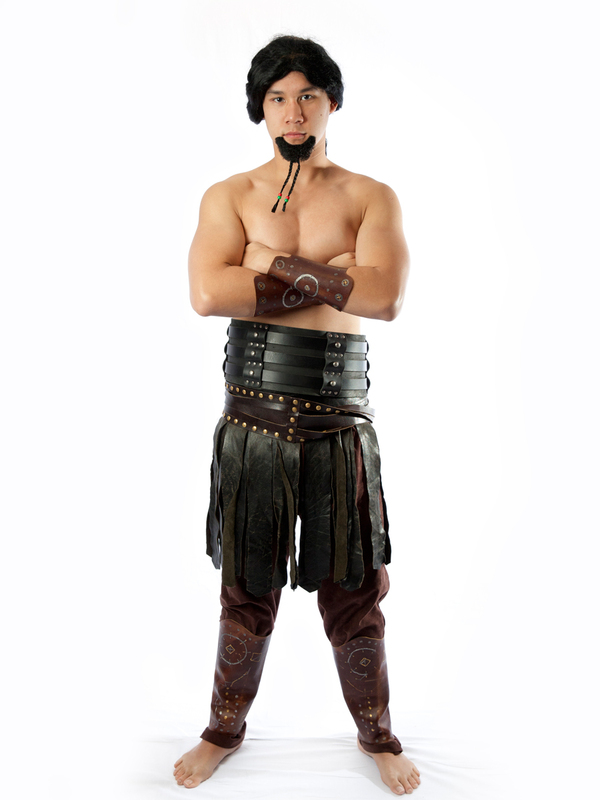 Be a powerful warrior in this Khal Drogo Game of Thrones costume. Costume includes large belt, belt, wrap skirt, shin guards, wrist guards and optional wig. Facial hair optional purchase item.